Login during Holiday Spins Week at CanPlay Casino for Free Spins – No Deposit Required! 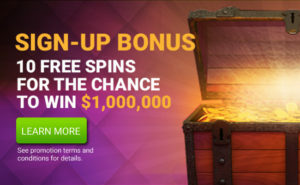 From December 8th to 14th, we’re offering you free spins on the Million Dollar Slot Machine just for logging into your CanPlayCasino.com account. 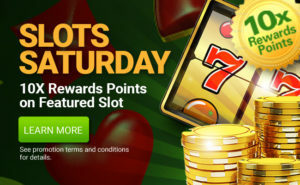 Simply sign into your account each day during the promotion to find out how many bonus spins you get. Players will receive Free Spins on the CanPlayCasino.com $1,000,000 Slot Machine every day they log into their CanPlay Casino account from Saturday, December 8th, 2018 through Friday, December 14th, 2018. Ends each day at 11:59 PM ET. The amount of free spins will vary by day. 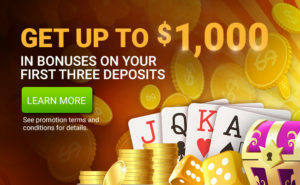 Must log into CanPlayCasino.com account each day during the promotion to receive free spins. Players qualify for offer once a day during the promotional period.